Exel and UPS Logistics Group Europe have formed an alliance to review the effectiveness of all current inbound logistics processes for production parts and components for Ford Motor Company in Europe. In the next stage, detailed process specifications will be jointly developed by Exel, UPS Logistics Group and Ford of Europe. This alliance would provide Ford of Europe with market-leading supply-chain support across all its European plants. The cooperation exemplifies Ford's leadership role in executing innovative e-commerce and supply-chain management strategies. 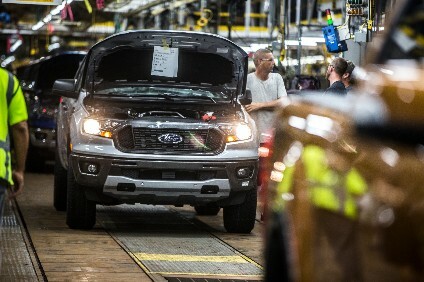 It will follow the success of the strategic alliance of Ford Motor Company (NYSE: F) and UPS Logistics Group in the U.S. and Exel's 20-year relationship with Ford, including established operations in Southern Europe, USA and Brazil. Ford's new inbound logistics network in Europe will be designed to achieve significant improvements in transportation and distribution processes and inventory. Ford's European plants will benefit from more predictable and precise delivery times for components, parts and subassemblies. "This relationship will provide Ford of Europe with radically improved reliability and visibility throughout its supply-chain," said Bill Caplan, Managing Director, UPS Logistics Group Europe. 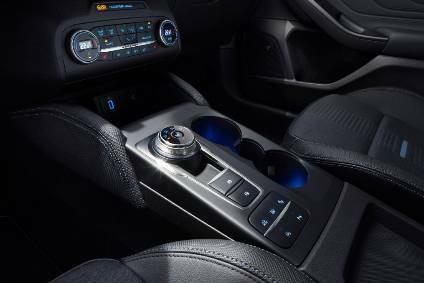 Commenting for Exel, Leigh Pomlett, President, Automotive Worldwide said: "Ford is one of the world's pioneering automotive companies and this important strategic alliance will be a significant breakthrough for Exel in Europe. It confirms our status as the leading supply-chain partner to the industry." Exel is a global leader in supply chain management, providing customer focused solutions to a wide range of manufacturing and retail industries. Exel's comprehensive range of innovative logistics solutions encompasses the complete supply chain from design and consulting through freight forwarding, warehousing and distribution services to integrated information management and e-commerce support services for business-to-business and business-to-consumer markets. Exel, a UK listed FTSE-100 company, has sales of over $5 Billion (1999) and employs more than 50,000 employees in over 1,300 locations around the globe. Exel's customers include two-thirds of the world's 250 largest non- financial companies. More information is available at www.exel.com . UPS Logistics Group is a wholly owned subsidiary of United Parcel Service, and was established in Europe in 1995. The European headquarters are based in St Albans in the UK. The company provides comprehensive supply chain management and service parts logistics The UPS Logistics Group comprises four primary business units: UPS Worldwide Logistics, Transportation Services Group, Service Parts Logistics and Technology Group In Europe it has two main operating subsidiaries in UPS Worldwide Logistics and Service Parts Logistics (SPL).